Top Music from your Favorite Artists! 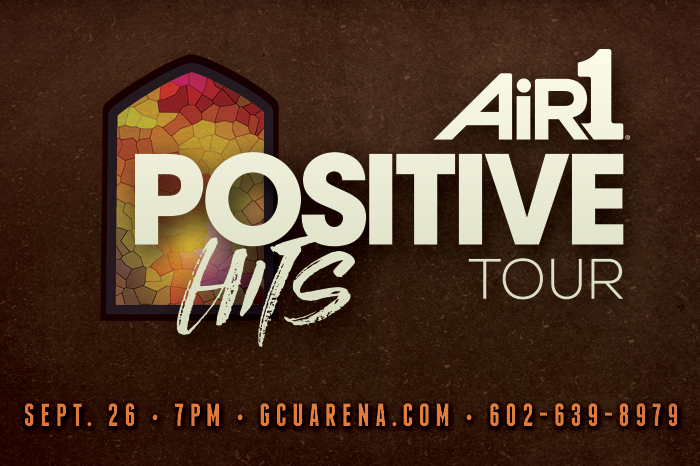 The Air1 Positive Hits Tour is coming to GCU Arena on Wednesday, Sept. 26! This show will be featuring GRAMMY® winner Zach Williams and special guests We Are Messengers, Joshua Micah, Aaron Cole and Branan Murphy. For additional event details, visit air1.com. This event is presented by Food for the Hungry.